The musician universally known as "Fritz Reiner" was born "Reiner Frigyes" - the Hungarian version of his name - and his birth was later recorded in the German version as "Frederick Martin Reiner". 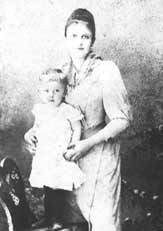 He was born in Budapest, Hungary on 19 December 1888. Budapest was then part of the Austro-Hungarian Empire, and Fritz Reiner's family was a German and Hungarian-speaking secular Jewish family. Fritz, nicknamed "Frici" by classmates, showed musical ability early, beginning piano study at age six. He was encouraged by his mother Vilma, née Pollak, and at age 10, Reiner entered the Franz Liszt Academy in Budapest. At the Academy, as well as a general music education, he studied piano, including with Bela Bartok and composition with Leo Weiner (1885-1960) - who also later taught George Solti and Janos Starker. 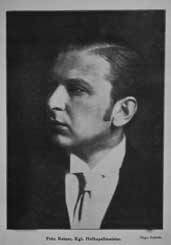 Fritz Reiner had his initial experiences as a répétiteur at the German Comic Opera at Budapest in 1908. Then, following trial rehearsals and interviews, in 1910, Reiner was appointed a conductor at the Laibach Opera House 2 in Slovenia. The German name of "Laibach" later assumed the Slovenian name of "Ljubljana" and is now capital of Slovenia. At that time it was still part of the Austro-Hungarian Empire. Reiner was listed as "Frederik Reiner", and his co-conductor was Václav Talich (1883-1961), later the famed conductor of the Czech Philharmonic Orchestra. During the October 1910 to March 1911 season, Reiner was to conduct 57 performances. While in Laibach, Fritz Reiner married Elca Jelacin 3, the first of his three wives. Also during his one season in Laibach, in a concert in early 1911, the manager of the Budapest Népopera saw Reiner conduct. The Budapest Népopera at that time was a private opera and ballet company and separate from the Royal Hungarian Opera. The Budapest Népopera offered innovative repertoire at lower ticket prices. 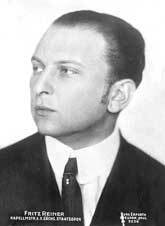 Fritz Reiner was offered a contract for Budapest beginning Autumn, 1911. So, Fritz Reiner left Laibach after one season. In Budapest during the next three seasons, 1911-1912, 1912-1913, and 1913-1914, Fritz Reiner conducted approximately 25 different operas each season; primarily of the Germany, French, and Italian repertoire, mostly sung in German 3 and he was greeted with success. Reiner's success in Budapest led to his first major permanent conducting appointment. Based on recommendations from performers who had worked in Budapest, in late 1914, "Frederik Reiner" as he was then known, was appointed to the conducting staff of the Königliches oper Dresden - the Dresden Royal Opera 1 at the Königliche Hoftheater Dresden - the Royal Court Theatre of Dresden. 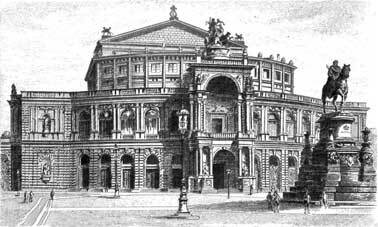 This was group was also known by its opera house name: the Semperoper. So, Reiner left Budapest, not to regularly conduct there again. 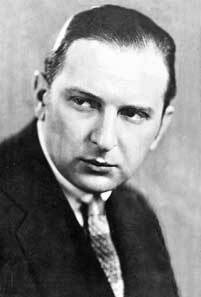 He also left behind the names of Frigyes or Frederick, or Frederik, to be known thereafter as "Fritz Reiner". At the Dresden Royal Opera, Fritz Reiner had now attained a major opera house position, selected over the far more famous Karl Muck and Felix Weingartner, either due to opera house politics 6, or to the two conductors declining the post 5, depending on the reference source. Among Reiner's illustrious predecessors at the Dresden Royal Opera were Carl Maria von Weber and Richard Wagner 4. The Dresden opera was one of the most respected of European operas, along with Vienna, Berlin and Munich. Reiner shared conducting duties with long-time Dresden conductor Hermann Kutzschbach (1875-1938). The Semper Theater, Dresden circa 1910 near the time of Fritz Reiner's arrival. Among these first performances was of Richard Strauss's Die Frau ohne Schatten, the opera's first performance following its premiere in Vienna in 1919. However, its five performances were not a success, partially due to the immediate post-war financial constraints on production 11. In October, 1915, Reiner also gave the Dresden premiere of Strauss's Alpine Symphony the day after its Berlin premiere, given by Strauss, conducting Reiner's own Dresden Staatskapelle Orchestra 12. During these Dresden years, Reiner had extensive personal contact with Richard Strauss as well as attending a number of Strauss performances of his own operas and orchestral works in Dresden, Munich and Berlin. In Dresden, Reiner also conducted some 40 orchestral concerts 8, expanding his repertoire. As was the case in many European cities and some US cities, the symphonic orchestra was able to draw on the body of opera orchestra musicians which has developed previously. While in Dresden, Fritz Reiner took up with a singer of the opera, Berta Gerster-Gardini, perhaps beginning in 1914. 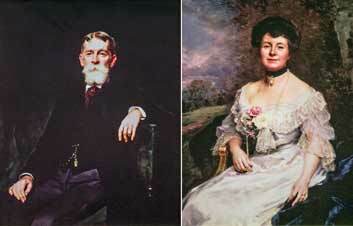 Fritz and Elca Reiner were divorced in July, 1916. Elca and the daughters eventually returned to Slovenia. The records and correspondence relating to Fritz Reiner's divorce and subsequent battles regarding child visitation and support are an early display of the vindictive, intransigent, and what seems a morbid and paranoid aspect of his personality. These characteristics were to remain with Fritz Reiner through the subsequent decades of artistic growth and turmoil. Fritz Reiner and Berta Gerster-Gardini were married in Berlin in November 1921 and in Rome in May 1922 10. In November 1921, following eight seasons in Dresden, Reiner resigned his position to take up conducting engagements in Rome and Barcelona. While in Spain, he received an offer to become conductor of the Cincinnati Symphony Orchestra, then being reorganized. Cincinnati, with its large German-origin community had a strong musical tradition, including with its Cincinnati May Festival. The Cincinnati Symphony had a series of distinguished conductors, beginning with Frank Van der Stucken who conducted it from its founding in 1895 until 1907. After Van der Stucken, the orchestra was silent for three seasons until Leopold Stokowski became conductor 1909-1912. The great violinist Eugène Ysaÿe led the orchestra 1918-1922, prior to the arrival of Fritz Reiner in the 1922-1923 season. The resuscitation of the Cincinnati Symphony was due to the efforts and money of Charles Phelps Taft and Anna Sinton Taft. Charles Taft was Editor and Publisher of the Cincinnati Times, and part of a distinguished Ohio family that included President and US Chief Justice William Howard Taft. Anna Sinton Taft was one of the founders of the Cincinnati Symphony in 1893, and served as its President until her death in 1931. According to A History of the Cincinnati Symphony Orchestra to 1931, Fritz Reiner was one of four candidates to become the orchestra's conductor 15. The other three were: Serge Koussevitzky, Wilhelm Furtwängler and Felix Weingartner, all far more famous than Reiner. Koussevitzky's salary requirements were not met and Furtwängler and Weingartner both had superior positions in Berlin and Vienna. The Concertmaster of the Cincinnati Symphony, Hugo Heermann's father Emil Heermann (1844-1935) had written to his son of Reiner's European successes 16. Emil Heermann had been Concertmaster of the Cincinnati Symphony starting in 1909, and was succeeded by his son Hugo Heermann. 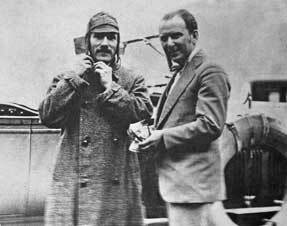 Prior to the start of the 1922-1923 season, Fritz Reiner met with Hugo Heermann in Europe to plan the Cincinnati season. Charles and Anna Sinton Taft strongly supported the Cincinnati Symphony during Reiner's tenure, giving $100,000 in endowment to the orchestra each season during the 1920s. In 1928, they gave one million dollars toward and endowment for the orchestra provided $2.5 million in matching gifts were made, a goal achieved. "...phrases such as 'dummkopf', 'shoemaker'...were hurled at wayward players along with requests that they should play a particular passage repeatedly until the results were satisfactory..." 17. During the first Cincinnati season, Reiner replaced one-third of the orchestra, and he replaced between 15% and 29% in seasons thereafter. 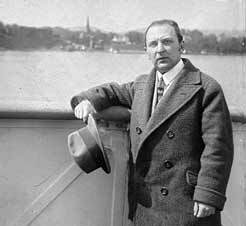 Fritz Reiner was remarkably innovative in his programming in Cincinnati, particularly of contemporary music and of compositions by US composers. The list below shows a portion of the new, mostly contemporary works which Reiner featured between 1922 and 1930. Prélude à l'après-midi d'un faune L 86, Nuages and Fêtes from Nocturnes pour orchestre L 91, La Mer L 109, Ibéria and Rondes du printemps from Images L 122. Rapsodie espagnole opus 54, Daphnis et Chloé - Suite no 2 opus 57b, Ma mère l'oye opus 62, Le tombeau de Couperin opus 68a, La valse opus 72, and Boléro opus 81. 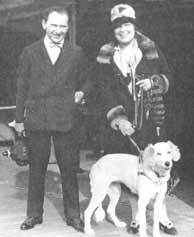 Fritz Reiner vacationed with Carlotta Irwin as early as 1928. Following his divorce being granted on 5 February 1930, Fritz Reiner and Carlotta Irwin were married on 26 April 1930. Meanwhile, Reiner's relations with the Cincinnati board also had become progressively more contentious, and after his four year contract begun in the 1923-1924 season, Reiner was given only one year contracts. After the news of Fritz Reiner's second divorce and third marriage, the Board notified Reiner that his contract would not be renewed, and they set about identifying a replacement 20. After leaving Cincinnati in April, 1931, Fritz and Carlotta Reiner moved to Philadelphia, where Reiner would take up teaching duties at the Curtis Institute in September, 1931. 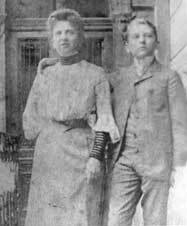 Fritz and Carlotta decided, however to establish their residence in New York City, with Fritz commuting to the Curtis Institute once each week. The Curtis Institute, founded and richly endowed by Mary Louise Curtis Bok, provided its music conservatory education to invited students under full scholarship. At the Curtis Institute, Reiner was responsible for the student orchestra and for the instruction in conducting to a small group whom he selected himself. Some of his students later prominent were Leonard Bernstein, Lucas Foss and Boris Goldovsky, among others. Coming from New York City, Reiner would meet with them once each week. 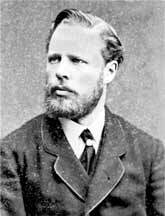 He placed emphasis on sight reading of scores and on mastery in particular of opera. Reiner also conducted students of the Curtis Symphony in broadcasts over CBS radio, and in a famous concert in November, 1937 at the Metropolitan Opera house commemorating the 50th anniversary of Josef Hofmann's debut, arranged by Mrs. Bok. During the 1930s while teaching at Curtis, Fritz Reiner, aided by continuous letter writing by Carlotta was seeking a permanent orchestral post, but frustratingly without success. Reiner conducted the Philadelphia Orchestra, the New York Philharmonic and the Chicago Symphony, but always at their summer seasons in Fairmount Park, Lewisohn Stadium and Ravinia Park, respectively. This was a frustrating period for Reiner, who saw others gaining the positions which he sought: Eugene Ormandy with the Philadelphia Orchestra, Arthur Rodzinski with the Cleveland Orchestra, John Barbirolli with the New York Philharmonic, Vladimir Golschmann with the Saint Louis Symphony and Pierre Monteux with the San Francisco Symphony. A benefit for Fritz Reiner from his relationship with Mary Curtis Bok was the granting by the University of Pennsylvania of an honorary Doctorate to Reiner in 1940. He later gained an honorary Doctorate from the University of Pittsburgh. When Fritz and Carlotta Reiner learned of the honorary Doctorate from the University of Pennsylvania, they notified musicians and colleagues that thenceforth, Reiner should be addressed as "Doctor Reiner" 29. Most of the famous conductors received honorary Doctorates during their careers. Some, such as Felix Weingartner, Karl Böhm, and Arthur Rodzinski had earned Doctorates by their education, but none had used the title "Doctor" professionally. This seeming affectation by Reiner was cited by some as a manifestation of his insecure person. 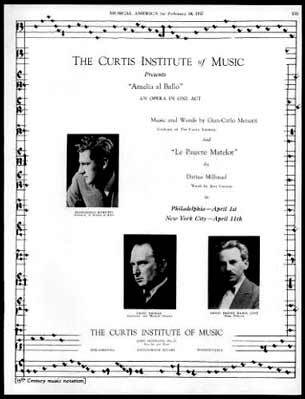 In October, 1938, Josef Hofmann was succeeded as Director of the Curtis Institute by the composer Randall Thompson. Thompson's tenure was not completely successful and in February 1941, he was succeeded by Efrem Zimbalist, the famed violinist whom Mrs. Bok married in 1943. At the same time as Randall Thompson's resignation, Mrs. Bok also asked for Fritz Reiner's resignation. In 1937, civic leaders of Pittsburgh decided to reorganize the Pittsburgh Symphony Orchestra, with new financial underwriting and with a schedule of 13 pairs of concerts for the 1937-1938 season, to be conducted by guest conductors. Otto Klemperer, at that time Los Angeles Philharmonic Music Director was hired to audition and train a new orchestra. Guest conductors were Otto Klemperer for the first three concerts, followed by Eugene Goossens, Carlos Chavez, Fritz Reiner and Georges Enesco for two pair of concerts each. Klemperer was offered the Pittsburgh Music Director position at an increase over his Los Angeles salary, but he declined. In March, 1938, the Pittsburgh Board announced the appointment of Fritz Reiner as Music Director of the Pittsburgh Symphony for the 1938-1939 season. In Pittsburgh, Fritz Reiner encountered several difficulties. Most important was that, unlike Cincinnati, and unlike the Curtis Institute, he did not have a wealthy and powerful backer such as Anna Sinton Taft or Mary Curtis Bok. There were several Pittsburgh businessmen, led by Edward Specter, giving backing, but without the means to cover the Pittsburgh deficit by themselves. 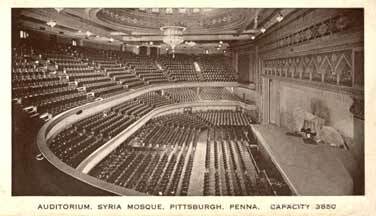 The Pittsburgh Symphony concert hall, the Syria Mosque, was a Moorish style theater with 3,850 seats. As well as being too large for a symphony hall, also its oval shape, wider than deep, produced poor acoustics. Reiner set about improving the Pittsburgh Symphony, replacing 46 musicians - more than half of the 90 person orchestra. In later seasons, again often half of the orchestra would be replaced. This was not only due to Reiner firing musicians, but also because Pittsburgh salaries were lower than in Boston, New York, Philadelphia or Chicago. The season was also shorter, and with no summer concert series to add to income. Also in Pittsburgh, part-time musicians jobs were less plentiful than in larger cities. Then, during World War II, the draft of musicians, plus the salaries for foreign musicians exempt from the draft increased departures.
" ... Columbia has certainly the the ace-in-the-hole with Mr. Reiner if this disk is any indication ... " 3. Considering his career until 1940, it is striking that Fritz Reiner seems not known even to this experienced critic. Consider Reiner's prior career. Reiner had been principal conductor of the Cincinnati Symphony for eleven seasons, from 1922-1933. He had taught conducting at the renowned Curtis Institute for 5 years in the mid-1930s with many famous students, including Leonard Bernstein and others. While at Curtis, Reiner was also conducting the Philadelphia opera season, and guest conducting in New York, Philadelphia and elsewhere. Fritz Reiner had already been the Music Director of the Pittsburgh Symphony for five seasons at the time of this referenced record review. A discography of the recordings of Fritz Reiner ( click here to see a complete discography of the recordings of Fritz Reiner ) demonstrates the importance of recording for conductors to be known, and to acquire a following. This is dramatic in the case of Fritz Reiner. Press reviews and record reviews hardly mentioned Fritz Reiner before about 1945 or 1946. This changed rapidly when the series of Reiner's great recordings with the Pittsburgh Symphony and even more dramatically with his famous Chicago Symphony recordings of the 1950s. Fritz Reiner's first commercial recording was made on November 22, 1938 with 60 musicians primarily from the New York Philharmonic 13. The recordings were made in Carnegie Hall, recorded by RCA Victor engineers. However, the recordings were anonymous, made for the New York Post newspaper as a promotion, without naming the conductor or the orchestra. The two albums of three 78 RPM records were (	Debussy: Nuages and Fêtes, Prélude à l'après-midi d'un faune, Wagner Die Meistersinger: Prelude to Act 1 and Parsifal: Prelude to Act 1). These were also later distributed by other newspapers. Reiner's first commercial recording: The 1938 New York Post Reiner/New York Philharmonic Wagner recording, but with no credits to conductor or orchestra. Fritz Reiner's efforts to begin making recordings was finally successful with his first contract with Columbia Records in 1940. Their first recording sessions were on February 25, 1940 and March 14, 1940. These were made in Pittsburgh's Carnegie Music Hall 8, rather than the Symphony's usual venue at the Syria Mosque, Pittsburgh. The Syria Mosque had relatively poor acoustics in part due to its large oval shape, twice as wide as it was deep, but also perhaps the Carnegie Music Hall was more less expensive. They recorded an all Wagner program: the Lohengrin Prelude to Act 3, the Meistersinger Prelude to Act 1, the Forest Murmurs from Siegfried Act 2, and the Ride of the Valkyries from Act 3 of Die Walküre. However, because of voltage fluctuations during recording, of these discs, only the Ride of the Valkyries was released by Columbia, and that not until 1944. Instead, a new Wagner recording session was held in the Syria Mosque on January 9, 1941 when the Meistersinger Prelude to Act 1 was recorded and released on a single Columbia 12 inch (30cm) 78 RPM disc Columbia M 11980-D. Also recorded during that session was the Wagner Lohengrin Act 3 Prelude, and the Forest Murmurs. However, these other works were not released until 1944 in the Columbia album M-549 entitled "Five Famous Orchestral Excerpts From Wagner Operas". Fritz Reiner and the Pittsburgh Symphony were also among the first to record for Columbia Records' new 33 1/3 RPM microgroove recording process. Fritz Reiner began to gain a level of public appreciation from his broadcasts of the Ford Sunday Evening Hour with the "Ford Symphony Orchestra". This was in fact the Detroit Symphony engaged by Henry Ford. During Reiner's time at the Curtis Institute and into his directorship of the Pittsburgh Symphony between September 1936 and March 1942, Reiner conducted 42 such concerts 11. These were in prime time at 9 PM Eastern time on CBS radio, and were national broadcasts on 86 radio stations 33. Broadcasts originated from Detroit's massive 5,000 seat Masonic Temple with usually capacity audiences with free tickets 34. Although there were other conductors engaged, such as Victor Kolar and Wilfred Pelletier, Fritz Reiner was the most distinguished of the regular conductors. Other famous names were also hired, including Eugene Ormandy, Sir Thomas Beecham, and George Szell. Reiner often expressed frustration as to the restrictions of the programming: the initial music should not exceed seven minutes, and no adventurous or modern music should be included. Ford Motor promoted the Ford Sunday Evening Hour as featuring "music of familiar theme, with majestic rendition" 33. 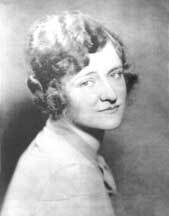 However, Reiner continued over six years, since the Ford Sunday Evening Hour paid as much for one concert as Reiner would otherwise earn in a week, and the concerts were heard nationwide. Just as he was in Cincinnati, Fritz Reiner was remarkably innovative in his repertoire, particularly of music by contemporary composers. Perhaps only Leopold Stokowski was so adventurous. Treating these alphabetically, Reiner programmed Charles Wakefield Cadman (a Pittsburgh composer) American Suite. He performed Aaron Copland frequently, including El Salón México of 1936, Appalachian Spring suite of 1945, An Outdoor Overture written in 1938, and the complete suite from the ballet Billy the Kid of 1938. He performed Paul Creston Threnody. From Norman Dello Joio Three Symphonic Dances (1947) and Concert Music for Orchestra (1949). Lucas Foss Symphony no 1 (1945 world premiere). He programmed his student Morton Gould's Symphony no 1 (1943 world premiere) and Foster Gallery of 1939. Also, Darius Milhaud Concerto for Two Pianos of 1941. From Arnold Schoenberg he gave the US premiere of Theme and Variations opus 43b. He gave the world premiere of William Schumann's Prayer in Time of War (1943) and Circus Overture of 1944. He programmed his Curtis colleague Randall Thompson's Symphony no 2 of 1931 and the Wallingford Riegger New Dance of 1935. 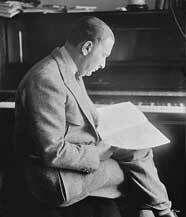 Igor Stravinsky agreed to Reiner's String Concerto in D from 1931 - US premiere in 1948. Virgil Thomson Plow that Broke the Plains of 1942, and Six Portraits of 1945. 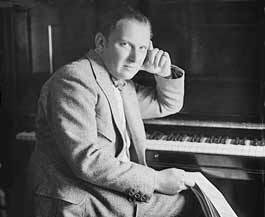 Reiner also commissioned a concert version of the music from George Gershwin's opera Porgy and Bess arranged by Robert Russell Bennett, which Reiner premiered 5 February 1943. 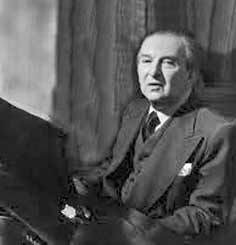 Throughout his career, and particularly after Bela Bartok relocated to the USA in October, 1940 because of World War 2, Fritz Reiner was a continual and high level advocate of Bela Bartok and his music. In January 1943, Bartok and his wife Ditta as dual pianists performed his Concerto for Two Pianos with Reiner and the New York Philharmonic. Reiner was also one of the musicians instrumental in convincing Serge Koussevitzky to commission Bartok's Concerto for Orchestra which was premiered by Koussevitzky in 1943. 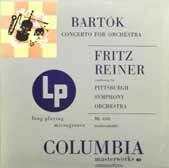 Fritz Reiner made the first recording of the work with the Pittsburgh Symphony for Columbia on 4 and 5 February 1946 issued on album MM-793 and later on the early LP Columbia Masterworks ML-4102. 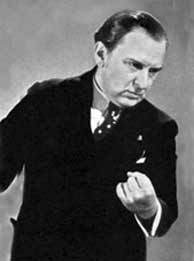 Fritz Reiner performed Bartok's The Miraculous Mandarin Suite BB 82 in an NBC Symphony broadcast on 15 December 1946. Reiner also recorded Bartok's Hungarian Sketches, BB 103 for Columbia (not initially released), and programmed the work in his 11 June 1950 broadcast with the NBC Symphony. At the end of the Pittsburgh 1947-1948 season, Reiner resigned his direction of the Pittsburgh Symphony Orchestra after ten seasons at its head. Reiner then devoted his time to the Metropolitan Opera and to guest conducting and recording. 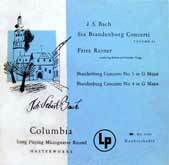 Still under contract with Columbia Records, Reiner made a few recordings, including a stylish recording of the Bach Brandenburg Concerti with New York freelance musicians which demonstrated his mastery, uncommon for the period, of baroque playing. Fritz Reiner then signed an exclusive recording contract with RCA Victor, with whom he continued for the remainder of his career. Reiner conducted a famous recording of the Beethoven Piano Concerto no 6 "Emperor" with the RCA Victor Symphony and Vladimir Horowitz for RCA Victor on 26 April 1952. Another famous RCA Victor recording was of Bizet's Carmen with the RCA Victor Symphony, Risë Stevens - Carmen, Jan Peerce - Don José, Licia Albanese - Micaëla, Robert Merrill - Escamillo, recorded in May and June 1951. This Carmen was the only studio recording of a complete opera by Reiner, the others being derived from broadcasts, or else being excerpts. The "RCA Victor Symphony" was a pick-up group of some of the finest musicians of the NBC Symphony, the New York Philharmonic and other New York free-lance musicians. Reiner also made recordings for RCA with the "Robin Hood Dell Orchestra" which was the Philadelphia Orchestra and recorded in the Philadelphia Academy of Music in May-June 1951. 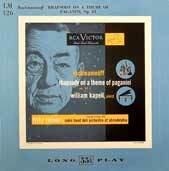 These included the Brahms Double Concerto in A minor with Nathan Milstein violin, Gregor Piatigorsky cello 29 June 1951 and the Mendelssohn incidental music for A Midsummer Night's Dream 30 June 1951 and a famous recording of Rachmaninoff's Rhapsody on a Theme of Paganini with William Kapell on 8, 10 May and 4 June 1951. During 1949-1953, first as a guest conductor and later under contract, Fritz Reiner conducted at the Metropolitan Opera. Reiner was the principal among a number of staff conductors at the MET, including during the early regime of Rudolf Bing, who became General Manager in 1950. While at the MET, Reiner conducted a number of famous productions, including in 1949, the Strauss Salome with soprano Ljuba Welitsch as Salome, and the U.S. premiere of Stravinsky's 'The Rake's Progress' in 1951. After decades of frustration for Fritz Reiner, constantly seeking his own orchestra in a major cultural center with sound financial backing, in 1953, Fritz Reiner was named Music Director of the Chicago Symphony. He maintained this post for nine seasons until the end of the 1961-1962 season. At this point, his health began to fail, particularly due to a coronary problem. 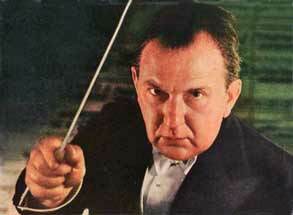 Fritz Reiner then became "Musical Advisor" in Chicago for the 1962-1963 season, but was unable to carry on. 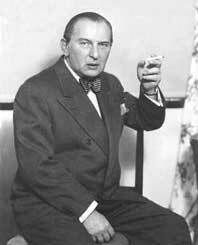 Fritz Reiner died in New York City November 15, 1963. Even though Georg Solti famously claimed that prior to his arrival in Chicago in 1969, the Chicago Symphony was a "provincial orchestra", in fact, through good selection of musicians, demanding standards and in part through his ruthless elimination of any musician who displeased him, Reiner build one of the great orchestras of the world in Chicago. Reiner also built the orchestra's reputation by their famous series of recordings for RCA Victor during the 1950s, particularly his pioneering stereophonic recordings beginning in 1954. It is said that Reiner and the Chicago Symphony recorded 122 different works. 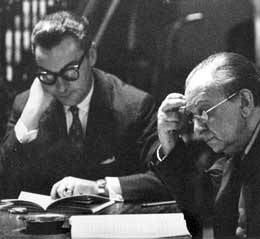 In 1953, when Fritz Reiner was named Music Director of the Chicago Symphony, he was already under contract with RCA Victor. The first commercial recording sessions of Reiner and the Chicago Symphony took place on 6 March 1954 in Orchestra Hall, Chicago. These also were their first stereophonic recordings. RCA was pioneering stereophonic recordings and this first session followed the 6 October 1953 Stokowski experimental recordings made in New York, and the February, 1954 stereophonic recordings of the Boston Symphony with Charles Munch. In this first recording session were some famous Reiner recordings: Richard Strauss's Ein Heldenleben opus 40 with John Weicher violin and from Strauss's Salome opus 54, the Dance of the Seven Veils. 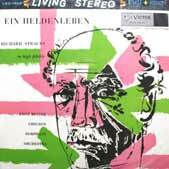 Heldenleben was	issued first in 1954 on a monophonic LP disc RCA LM-1807. The stereophonic LP disc technology was not commercialized until late 1957 and by RCA Victor during 1958. Before this, RCA's means to commercialize stereophonic recordings was via reel-to-reel pre-recorded tape. Also, RCA sold monophonic pre-recorded reel-to-reel tape, both at 7 1/2 IPS speed and 33 1/3 IPS speed. Fritz Reiner and the Chicago Symphony were among the first RCA Victor stereophonic reel-to-reel tapes released in 1954. 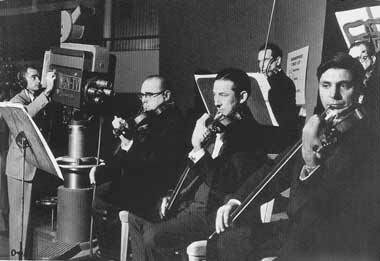 The Chicago Symphony were among the early broadcast pioneers, having broadcast by either radio or television since 1945 32. They had been sponsored by Chicago Title and Trust over Chicago station WGN-TV. These were one hour broadcasts billed at the "Chicago Symphony Orchestra", although perhaps half of the Chicago Symphony musicians took part. This was a welcome addition to the musicians' income. Fritz Reiner received a fee of $1,000 per telecast, a significant addition to his $40,000 annual salary. His fee later grew to $2,000 per telecast. Such televised broadcasts continued in various formats throughout Reiner's time in Chicago, with other conductors often replacing Reiner. Television helped the wider public to be aware of Fritz Reiner and the Chicago Symphony, particularly when the broadcasts began to be shown in other cities, including New York. In February, 1959, it was announced in the press that the Chicago Symphony European tour would take place August to October, 1959 23. Not surprisingly, there was considerable bitterness both in Chicago (our chance to erase the image of Chicago as the city of Al Capone) and among orchestra musicians. Principal flute Donald Peck wrote in his excellent memoires The Right Place, the Right Time ! "Our next venture was to have been a tour to Europe and the Soviet Union in the Spring of 1959. Abruptly, we were told that Reiner had cancelled the tour. He actually had the audacity to come to a rehearsal and tell us that we wouldn't like it in Russia...[because] 'it rains'. the State Department replaced us with a young Leonard Bernstein, newly appointed Music Director of the New York Philharmonic. His tour was a big success...25 "
Although many conductors had the reputation of being a martinet, Fritz Reiner does seem to have had a sadistic streak in his conduct, and was famous for his hounding of the the musicians of weakest character in his orchestras, and playing 'mind games' to manipulate his players. However, strong characters, such as Ray Still (oboe) or Donald Peck (flute) in the Chicago Symphony generally did not have problems with Reiner. 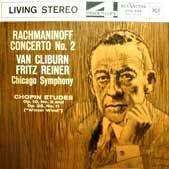 In Chicago, Reiner also produced many great recordings, too numerous to mention individually. These recordings for RCA Victor were also sonically at the leading edge of their time, and are still highly regarded both for inspired performances, and rich, transparent sound. In spite of being, perhaps a mean and unlovable as a person, Fritz Reiner as a conductor was one of the greats of the Twentieth Century, with a command of musical idioms from Bach, through Mozart, to the Romantics and Strauss, up to the music by his teacher, Bartok. It could be argued that he had an appropriate period style and inspired command of music from Bach to Kodaly, superior to his contemporaries, including Toscanini. Perhaps the only surprising gap is that he seems not to have been one of the great interpreters of Beethoven. 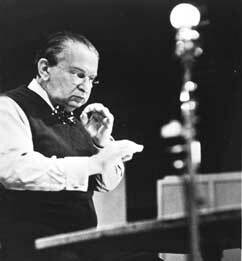 Following a major heart attack in October 7, 1960, Reiner did not conduct the Chicago Symphony until late March, 1961 5. So, he missed most of the Chicago Symphony 1960-1961 season. After the heart attack, Reiner continued to conduct, although more cautiously, in Chicago, and preparing a new MET production of Die Götterdämmerung. Finally, after April, 1963, Reiner withdrew to his long-time home, Rambleside in Connecticut. Fritz Reiner died in New York City on 15 November 1963. Regarding the greatness of Fritz Reiner as a conductor, the many appreciations of a wide variety of his fellow musicians (both admirers and critics) testified that Reiner had one of the most effective conducting techniques of his era. And, to my ears, many of his performances, still available to us in his many recordings are among the finest realizations of scores of composers over a wide range of periods and of styles. Fritz Reiner was active in a period when conductors were often abusive and arbitrary in their treatment of orchestral musicians. Toscanini, for example, was famous for his tantrums during rehearsal. However, Toscanini throughout his career often showed his affection and respect for his musicians, including while on tour and socially. This was not the case with Fritz Reiner, who was not only systematically abusive but also seems to have enjoyed playing "mind games" with his musicians. According to close observers in Pittsburgh and in Chicago, Reiner gained a sadistic pleasure from identifying musicians' weak areas and humiliating them. These were individuals who, in that era, were under his total and arbitrary control as to their future employment, and without appeal. One remarkable manifestation of the orchestra musicians feelings was that, at his funeral, many eminent artists from the musical world attended, but not one of the musicians from his former orchestras in Chicago or Pittsburgh attended. There were recurring jokes from Pittsburgh and Chicago musicians that Reiner had fired some of this pallbearers 30. Arturo Toscanini once remarked of Richard Strauss: As a musician, I take off my hat to him; as a person, I put it on again. Perhaps in a different way such a distinction may be made with the great musician that was Fritz Reiner. 1 pages 32-40. Morgan, Kenneth. Fritz Reiner, Maestro and Martinet. University of Illinois Press. Urbana, Illinois. 2004. ISBN-13: 9780252029356. 2 pages 30-32. Morgan, Kenneth. Fritz Reiner, Maestro and Martinet. op.cit. 3 pages 6-9. Hart, Philip. Fritz Reiner: A Biography. Northwestern University Press. Chicago, Illinois. 1994. ISBN: 0810114631. 4 Steen, Michael. Wagner's Tristan und Isolde: A Short Guide to a Great Opera. Icon Books. London, UK. 2013. ISBN: 978-1-84831-543-3. 5 page 12. Hart, Philip. Fritz Reiner: A Biography. op.cit. 6 page 33. Morgan, Kenneth. Fritz Reiner, Maestro and Martinet. op.cit. 7 page 34. Morgan, Kenneth. Fritz Reiner, Maestro and Martinet. op.cit. 8 page 13. Hart, Philip. Fritz Reiner: A Biography. op.cit. 9 pages 376-390. Schuller, Gunther. Gunther Schuller: A Life In Pursuit of Music and Beauty. University of Rochester Press. Rochester, New York. 2011. ISBN: 9781580463423. 10 page 21. Hart, Philip. Fritz Reiner: A Biography. op.cit. 11 pages 35-38. Morgan, Kenneth. Fritz Reiner, Maestro and Martinet. op.cit. 13 pages 41-42. Morgan, Kenneth. Fritz Reiner, Maestro and Martinet. op.cit. 14 Fritz Reiner Society. Cincinnati Symphony Orchestra concerts: Fritz Reiner, music director : 1922-1931. Fritz Reiner Society. University of Michigan Libraries. 15 Thomas, Louis Russell. A History of the Cincinnati Symphony Orchestra to 1931. University of Cincinnati. Cincinnati, Ohio. 1972. 16 page 45. Morgan, Kenneth. Fritz Reiner, Maestro and Martinet. op.cit. 17 pages 47-48. Morgan, Kenneth. Fritz Reiner, Maestro and Martinet. op.cit. 18 page 63. Morgan, Kenneth. Fritz Reiner, Maestro and Martinet. op.cit. 19 page 27. Mrs. Fritz Reiner Sues For Divorce. Portsmouth Daily Times . Portsmouth, Ohio. November 22, 1929. 20 pages 631-636. Thomas, Louis Russell. A History of the Cincinnati Symphony Orchestra to 1931. op.cit. 21 pages 175-176. Morgan, Kenneth. 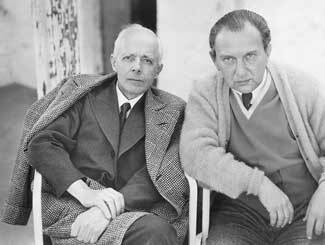 Fritz Reiner, Maestro and Martinet. op.cit. 22 page 207. Hart, Philip. Fritz Reiner: A Biography. op.cit. 23 page 15. Festival. Denton Record Chronicle. Denton, Texas. February 1, 1959. 24 page 1. Post, Nora. Playing English Horn for the Legendary Fritz Reiner: An Interview with Richard Nass. The Double Reed. International Double Reed Society. 11 December 2010 and 12 February 2011. 25 pages 22-23. Peck, Donald. The Right Place, The Right Time. Indiana University Press. Bloomington, Indiana. 2007. ISBN-13: 978-0-253-34914-9. 26 page 12. Chicago Symphony to Tour East Europe. The Milwaukee Journal. Milwaukee, Wisconsin. 30 May 1958. 27 Music: Thanks Fritz. Time Magazine. New York, New York. 9 March 1959. 28 page 205-217. Hart, Philip. Fritz Reiner: A Biography. op.cit. Hart's book is particularly clear and well documented about the 1959 European tour; probably the best source. 30 page 4. Peck, Donald. The Right Place, The Right Time. op.cit. 31 page 30. Hart, Philip. Fritz Reiner: A Biography. op.cit. 32 pages 169-170. Hart, Philip. Fritz Reiner: A Biography. op.cit. 33 pages 452-456. Lewis, David L. The Public Image of Henry Ford: An American Folk Hero and His Company. Wayne State University Press. 1976. ISBN-13: 9780814318928. 34 pages 315-318. Lewis, David L. The Public Image of Henry Ford: An American Folk Hero and His Company. op. cit.